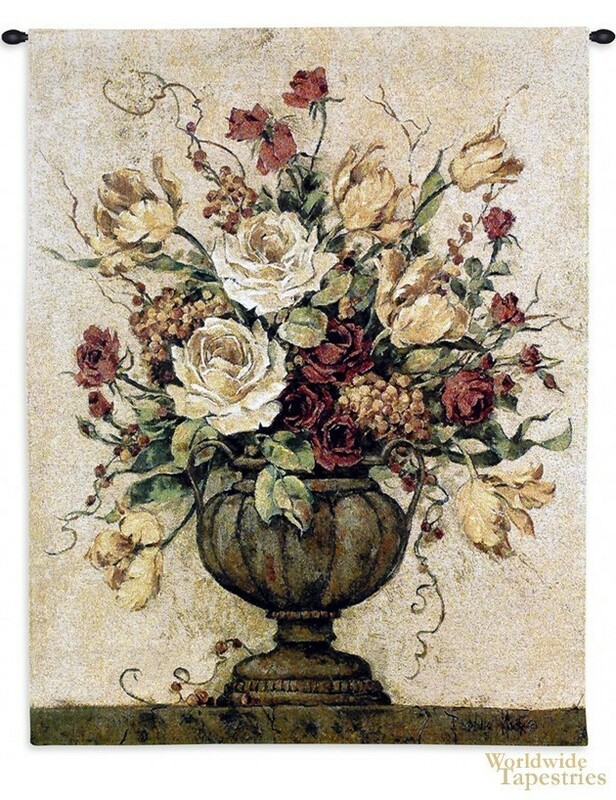 This tapestry shows a vase of peach roses, deep red roses and yellow tulips. It is a piece based on the work of contemporary artist Mock. The idea of using floral still lifes to decorate a home has been around for centuries, but here these flowers are woven with a contemporary theme and look. Intense in its presentation, these flowers seem to radiate a passionate and frenzied energy. This tapestry is backed with lining and tunnel for easy hanging. Note: tapestry rod and tassels, where pictured, are purchased separately.